Results of the CREDENCE study showed that canagliflozin (Invokana) reduced—by 30%—the risk of the primary composite endpoint, which included progression to end-stage kidney disease, defined as the need for renal replacement therapy (chronic dialysis or renal transplant); doubling of serum creatinine; and renal or cardiovascular death. The study evaluated the efficacy and safety of canagliflozin compared to placebo in patients with chronic kidney disease (CKD) and type 2 diabetes (T2D), in addition to standard of care. 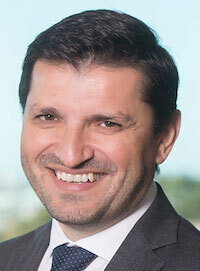 “Canagliflozin is the first medical breakthrough in nearly 20 years proven to slow the progression of chronic kidney disease in patients with diabetes at high risk of developing kidney failure,” said Vlado Perkovic, MBBS, PhD, CREDENCE Steering Committee co-chair, Executive Director, The George Institute for Global Health, Australia and Professor of Medicine, UNSW Sydney. The CREDENCE study was ended early in July 2018 when investigators announced that pre-specified efficacy criteria had already been met. Perkovic described the study results as “impressive” and added that the results have significant clinical implications for patients with chronic kidney disease and type 2 diabetes. The CREDENCE study results formed the basis of Janssen’s supplemental New Drug Application (sNDA) for canagliflozin, which was submitted to the US Food and Drug Administration (FDA) in March 2019. The sNDA seeks an indication to reduce the risk of end-stage kidney disease, the doubling of serum creatinine, and renal or CV death for adults with CKD and T2D. If approved, canagliflozin will be the first diabetes medication available for patients with type 2 diabetes and chronic kidney disease. “We are working closely with the US FDA and health authorities worldwide to bring this important medicine to those living with these life-threatening conditions,” said James List, MD, PhD, Global Therapeutic Area Head, Cardiovascular & Metabolism, Janssen Research & Development, LLC. The double-blind, event-driven study included 4401 patients with T2D, stage 2 or 3 CKD (estimated glomerular filtration rate of ≥30 to <90 mL/min/1.73 m2), and macroalbuminuria (urinary albumin-to-creatinine ratio >300 to ≤5,000 mg/g). All participants were receiving standard of care, including a maximum tolerated dose of ACE inhibitors or angiotensin II receptor blockers. Canagliflozin reduced the risk of the primary composite endpoint by 30% (Hazard Ratio [HR]: 0.70; 95% Confidence Interval [CI]: 0.59 to 0.82; P <.0001) and reduced the risk of ESKD, specifically, by 32% (HR: 0.68; 95% CI: 0.54 to 0.86; P = .0015). In addition, canagliflozin reduced the risk of secondary endpoints, including the risk of cardiovascular (CV) death and hospitalization for heart failure by 31% (HR: 0.69; 95% CI: 0.57 to 0.83; P = .0001), major adverse CV events (composite including nonfatal myocardial infarction, nonfatal stroke, and CV death) by 20% (HR: 0.80; 95% CI: 0.67 to 0.95; P = .0121), and the risk of hospitalization for heart failure alone by 39% (HR: 0.61; 95% CI: 0.47 to 0.80; P = .0003). The reported that there were numerically fewer adverse events and serious adverse events in the canagliflozin group compared to placebo. There was no significant difference in the incidence of amputations (HR: 1.11; 95% CI: 0.79 to 1.56) or adjudicated fractures (HR: 0.98; 95% CI: 0.70 to 1.37) between the 2 treatment groups. Canagliflozin was first approved by the FDA in 2013 as an addition to diet and exercise to support glycemic control in adults with T2D. In 2018, canagliflozin was additionally approved for patients with T2D who have established cardiovascular disease in order to reduce the risk of major adverse cardiovascular events, such as heart attack, stroke, or death. The CREDENCE study data were presented today at the International Society of Nephrology (ISN) 2019 World Congress of Nephrology (WCN) in Melbourne, Australia, and published in The New England Journal of Medicine.